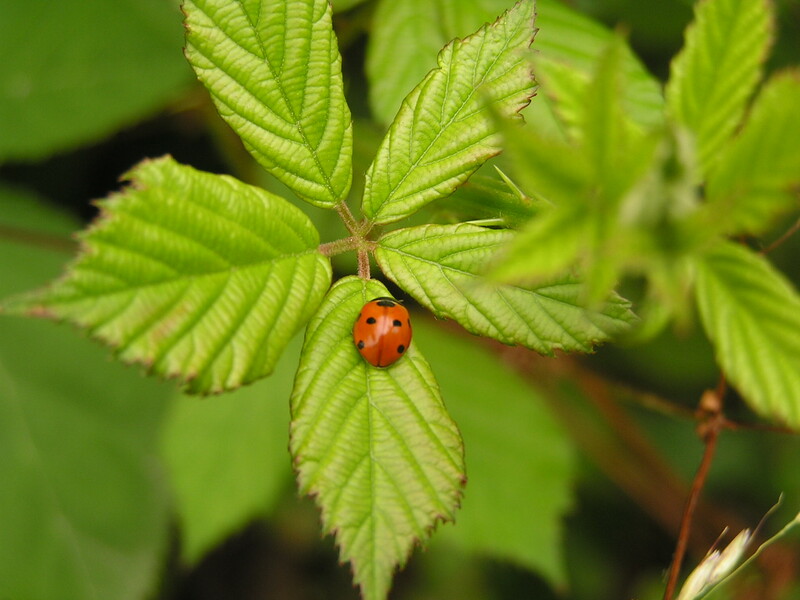 My current living situation comes with an established garden and the freedom to create from it. Yesterday I harvested Basil, Chard, Stevia Leaf, an Eggplant, and Chives. I really didn’t think I liked Chives particularly well, but what I did with them changed my mind. Let the butter sit out til just soft. Pour in the olive oil and add the chives, and mix/mash/blend with a fork or electric beater til it’s all good. 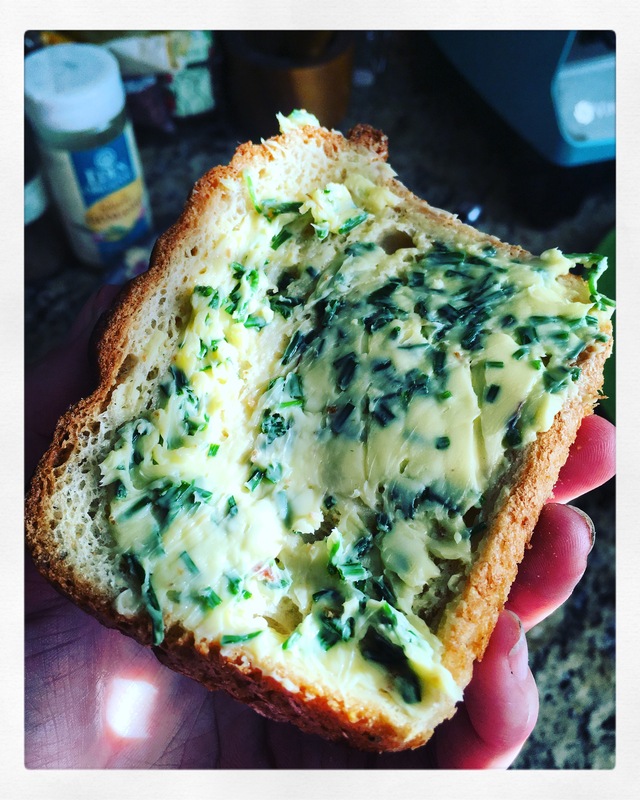 Spread on bread. YUM. This morning I added a small spoonful to a breakfast bowl that included sweet potatoes, brown rice, and pomegranate seeds. The sweet and savory combo was perfect for morning food. 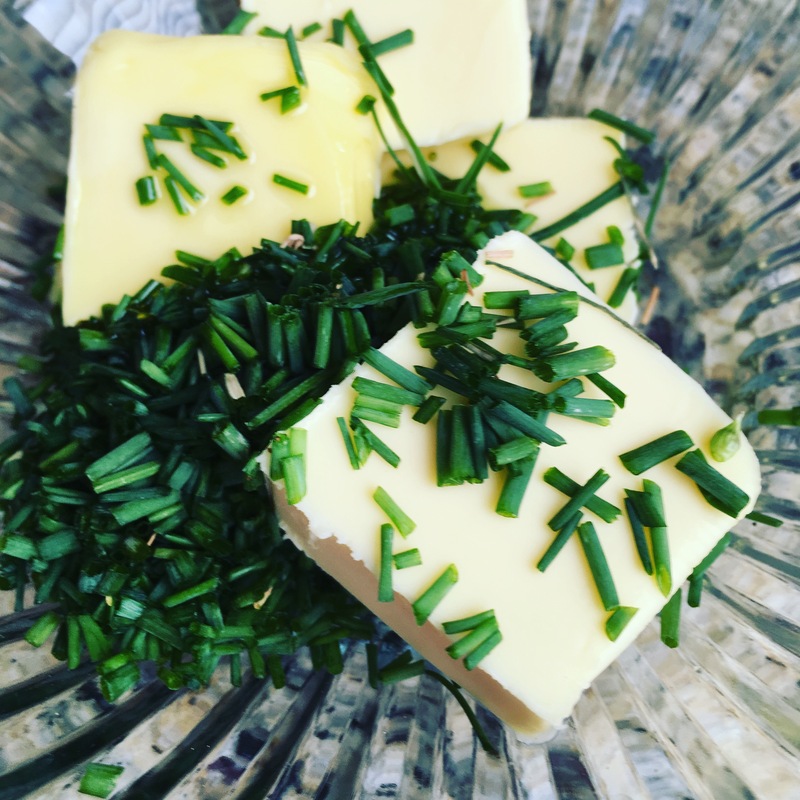 Chives are so easy to grow, it’s worth having a patch just so you can make chive butter whenever you want. Bon appetit!